SUPERMETALMAN Heating and Cooling has been serving the Okanagan and surrounding area since 2007. We employ qualified and experienced sheet metal workers to install the perfect equipment you need to give your space the comfort that it deserves all year round. Supermetalman Heating and Cooling installs High Efficient Furnaces, Air-conditioners, ductwork and Ventilation systems in residential homes of all sizes as well as High Velocity systems for homes with high solar gain and specific design requirements. Supermetalman Heating and Cooling installs Heating, Cooling and Ventilation systems in Commercial spaces including Restaurants, Bars, Brewhouses and Warehouses with rooftop units, unit heaters, makeup air and exhaust systems. Supermetalman Heating and Cooling installs High Efficient Furnaces, Air-conditioners, ductwork and Ventilation systems in condominiums. Sometimes this requires the installation of forced air systems or HRV'S with PTAC units. Supermetalman Heating and Cooling completed 5 Multi-Family Condominium projects for Tesco Developments (Brass III) between 2008 - 2017; Ellis Court in Kelowna BC, Ambrosi Court in Kelowna BC, Brownstone II in Edmonton AB, Brownstone I in Edmonton AB, The Leger in Edmonton AB. Each Condominium project required the installation of 43 -72 individual furnaces and split air-conditioning systems. 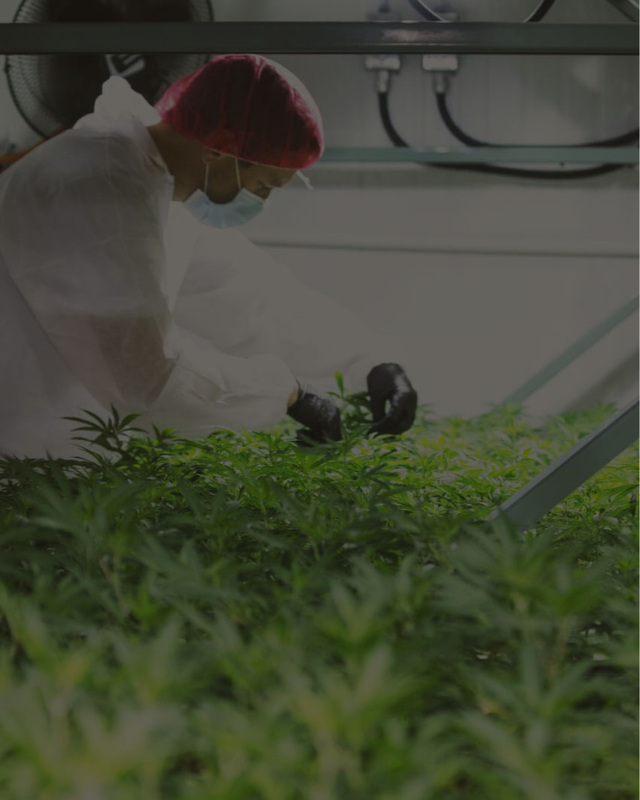 A 25,000 square foot legalized Grow-op facility that includes 6 large grow rooms featuring a independent weather system. This project required a complex Heating and Cooling, dehumidification and ventilation system. A local brew pub establishment currently under contruction. Scheduled to open in March 2019. Located at UBC Okanagan complex. Supermetalman Heating and Cooling completed a 10 unit Apartment building in conjunction with an 8 unit group home for BC Housing Corporation. Both buildings required the installation of an HRV system for fresh air intakes and exhaust air for each suite. The common areas required the installation of a 97% high efficient modulating gas furnace with heat pumps. Supermetalman Heating and Cooling completed 3 projects for Macintosh Homes; 2 residential homes in Kitamat BC and one residential home in Peachland BC with forced air furnaces and Split Air-conditioning systems. We purchased a vacation home and being new to the area asked for referrals. Steve’s name came up over and over again! Upon meeting Steve we knew instantly that we could trust him with our jobs! We gave Steve full access to our home while we were away. He assessed our needs, found the best products and replaced our furnace and air conditioning unit. Prior to doing this, he checked on our original/older units a few times to service them. He also took the time to educate us on the NEST system, installed it for us and then came back to teach us how to use it when we came into town. Now we can control the heat and AC from anywhere! Steve listened to our concerns and made sure that we were set up with exactly what we needed! He is honest, his prices are fair and he is trustworthy. We appreciated how he left the work site spotless and free from all debris! We will only contact Steve in the future regarding our properties and we are happy to refer Supermetalman to those looking for exceptional service! Thank you, Steve, for providing us with peace of mind, high-quality products, and top notice service! We moved to Kelowna in 2011 and decided to be our own General Contractors to build our home. We then interviewed in depth all the prospective trades. When it came to the HVAC trades, we knew right away that we were going to hire Supermetalman Steve! He took his time on the interview to look at our plans and discuss the layout of the ductwork, routing the best way to have the most efficient airflow and least drops around joists and beams. He was knowledgeable, articulate, and patient. We asked a lot of questions with regards to type of furnace, A.C. Unit, sequencing and timing of work which were answered succinctly and accurately. He always arrived on time and always exceeded our expectations with his diligent work, organized materials, clean workplace and ethical standards. We always refer Steve when people ask us for trades referrals and we continue to use him for servicing our HVAC.